Money talks. There is a reason corporations like Wal-Mart and Costco get the best deals. They buy in volume, and sellers take notice. This is analogous to what will happen at the 2016 Florida United Numismatics show (FUN). The FUN show is the largest annual convention for buying and selling rare coins. This year, our rare coin expert, Douglas Winter, will go to the FUN show with a war chest of more than $1 million to buy coins specifically for you. Of course, you can always attend the show; admission is free. The event takes place January 7-10th, 2016, at the Tampa Convention Center in Tampa, Florida. The show will feature over 600 dealer booths, an exhibit area and prizes. Doug would welcome you there. Or, you can let your funds attend, and get the most from the show without spending a minute of your time. Last year, Doug parlayed clients' purchases into the best-in-show at the best prices, regardless of their level of contribution. Below are two examples to demonstrate exactly how our buyer’s alliance worked to all our benefit. Doug was able to obtain this coin at last year’s FUN show for a long-term client of ASI. This particular coin is tied for the finest known of its type and no comparable coin has sold at auction since 2009. This coin sold for $84,500 last year. 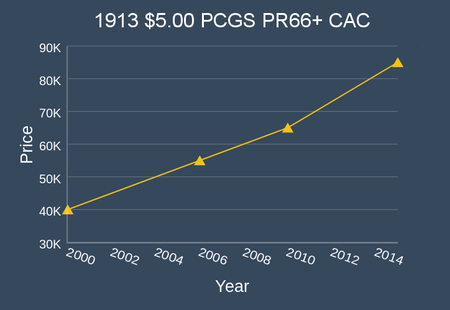 According to the PCGS price guide (a good gauge of value for U.S. coins), this coin has appreciated from $40,000 in 2000, to roughly $85,000 in 2015, and that doesn’t take into account the added value of its CAC designation. Translation: This is a truly rare coin at an excellent value. Coins like this don’t show up at every coin show, but they are available at the FUN show to a buyer like Doug. Doug was also able to acquire this coin for a new ASI client at last year’s FUN show. This client was looking to get started with rare coins, but still wanted to acquire a solid value with upside. This coin is difficult to find in a high grade, and only about 100 specimens exist in better condition than this one. This coin was acquired for $4,700 last year. 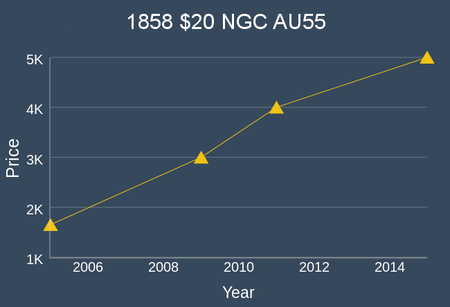 According to the PCGS price guide (again, a good gauge of value for U.S. coins), this coin has appreciated from $1,650 in 2005, to $5,000 in early 2015. Translation: rare coins in all price ranges can have strong upside over time. Doug was able to obtain this coin at the FUN show and got a better price because he was a major buyer at the show. A combination of know-how, reputation and buying power is yours for the asking. 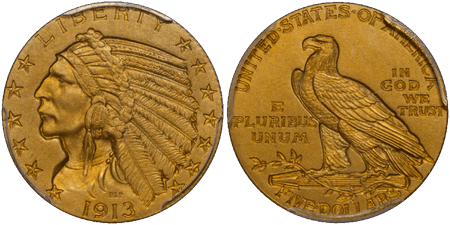 Doug is a leader in the rare coin industry and is considered one of the world’s leading experts in pre-1933 U.S. rare gold coins. As such, he has been the go-to guy at every FUN conference for many years. Most sellers think of Doug first when they have the right coin to sell. FUN attendees are a tightly-knit group. Word gets around at the conference when a dealer like Doug attends. This means buyers with special collections will be attracted to him immediately. They know he has buying power. It also means sellers of lesser cost coins know he has a market for those as well. You see, this convention is fast and furious. Buyers and sellers only have finite time in which to operate. Doug will get the buzz going, and the best offers will come to him… and therefore, to you. Thousands of coins will change hands… get in the game. With that much clout, even if you are a smaller investor, you are in a big player’s game. Your negotiating power is in the hands of an expert who can back up his promise to buy immediately. Because he has your funds on-hand, he will not have to hesitate. He can negotiate quickly and get you the good buys. Ready cash gets you the best deal under any circumstance and with any product. But, the power of immediate cash buying in volume is multiplied when you buy rare coins, as sellers are usually collectors. This means they usually never sell unless they need cash fast to upgrade their collection or for an emergency. There is limited time to get Doug working for you. Doug prepares for the FUN show well in advance. He puts out feelers to other dealers and alerts them to our needs. Remember, business is done on the spot. He wants to know what he can expect, do his due diligence and be ready to act when the time comes. It’s not only a war chest he needs, but your requirements as well, so he can put the word out. When he does, sellers bring the right coins to the FUN show for him… and for you. Call me at 800-831-0007 to discuss your rare coin portfolio, so Doug can act on your behalf. I will instruct you on how to deposit funds which are fully returnable if Doug does not procure a suitable rare coin as per your instructions.